Got a dog that loves balls? GoDog Furballz dog toys may be what your pupper needs! 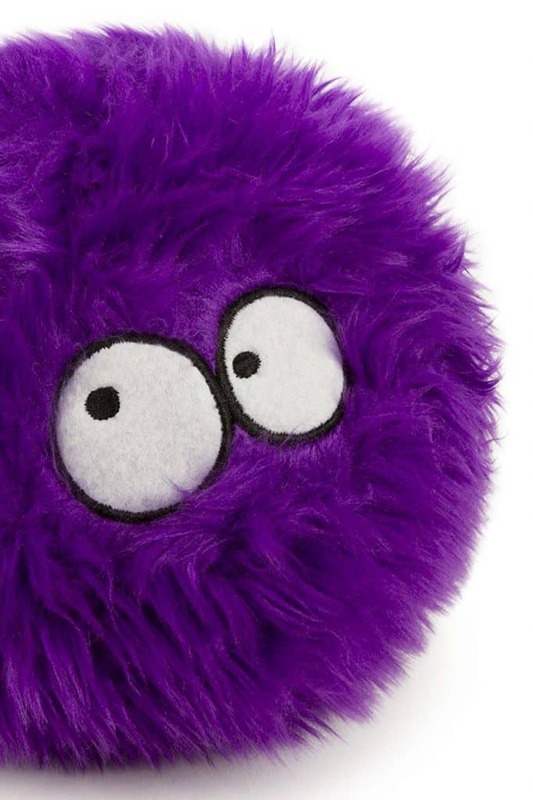 Dog owners of the Internets – have you seen these toys?! Dex has a basket of overflowing toys (tell me your pup does too! ), but he had no idea what he was missing until the day we introduced him to the lime and purple Furballz. To say he lost his mind is, well, the doggy understatement of the year. He lost his ever’livin’ mind. Honestly, we had never seen him react to a toy quite like he did with these furry balls. Is there a catnip equivalent for dogs? Cause we think GoDog uses it in these toys. 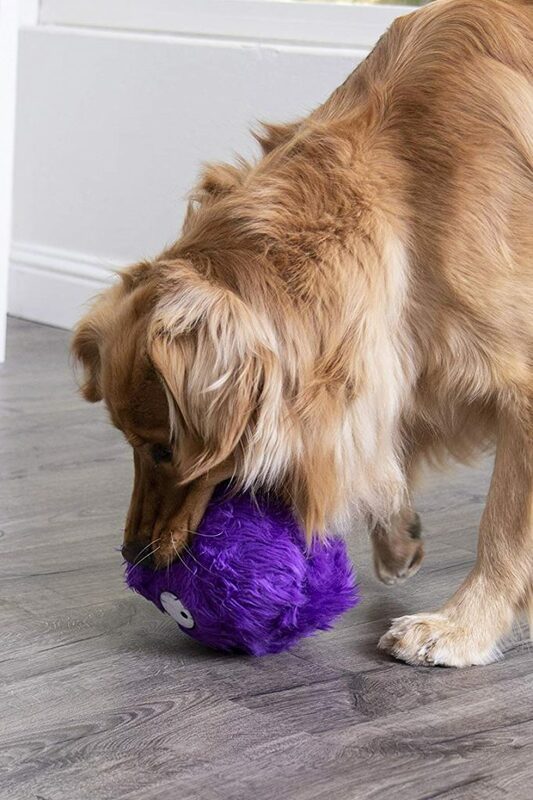 Dexter loves a tough chew toy, especially if said chew toy has a squeaker, and GoDog is one of our favorite toy manufacturers. They’re tough (made with chew guard technology). They’re fun (the colors ate bright!). They’re made to last (no rips or tears to date). We love buying Dexter fun and silly chew toys, especially if it has a squeaker. Any Furballz dog toy is great (a quick rummage through Dexter’s dog toy storage basket produces four from them), but these go above that mark. Will these toys withstand your dog’s laser-focused will to seek and destroy the squeaker? Dex is not one of those dogs that will relentlessly seek out and extract a squeaker, leaving fluffy and threads in its wake, so I can’t speak to how tough these are in that respect. We all know of dogs that can destroy the toughest dog toys in their squeaker quest and lucky for you (if you have a squeaker killer in your midst), is that GoDog guarantees these are tougher and will last longer than standard plush toys. Who doesn’t love a good guarantee? What I can tell you is that they have withstood daily gnawings and chewing from our 50+ pound dog with not a tear or a hole. Astounding for how much he plays with them. What if you have a small or medium-sized dog? Are you outta luck? No! Small and medium-sized dogs are included in the fun. GoDog took yer furbabies into account and they offer a mini, small, or large size option when ordering. ~ Features Chew Guard Technology and double stitched seams to be tougher and last longer than standard plush toys and we GUARANTEE IT! Even though no toy is indestructible, our GoDog toys are tougher and last longer than standard plush toys…and we GUARANTEE IT! If this GoDog toy does not outlast your standard plush, please visit www.godogfun.com/replacement and fill out the form to get your one-time replacement. Limit of one-time, one replacement per household. Dexter has two – cause one just wasn’t enough! He enjoys the lime and the purple Furballz! This is not a pic of Dexter, but it’s an accurate depiction of how silly he looks with a mouth full of fuzz. ~ Dexter is a 50-pound plus dog (large dogs need large dog toys) and he can chew a toy to death, but the Furballz are holding their own. ~ Dexter enjoys a good squeaker toy, yet has never been a dog that is focused on removing the squeaker, so the Furballz are a perfect mix of ball and noise. ~ They hold up to his constant chewing and shaking, while playing. ~ While Dexter will ignore a squeaker, he is keen to chew off the eyes and ears of his toys. So far, he hasn’t on these. They are hanging tough! 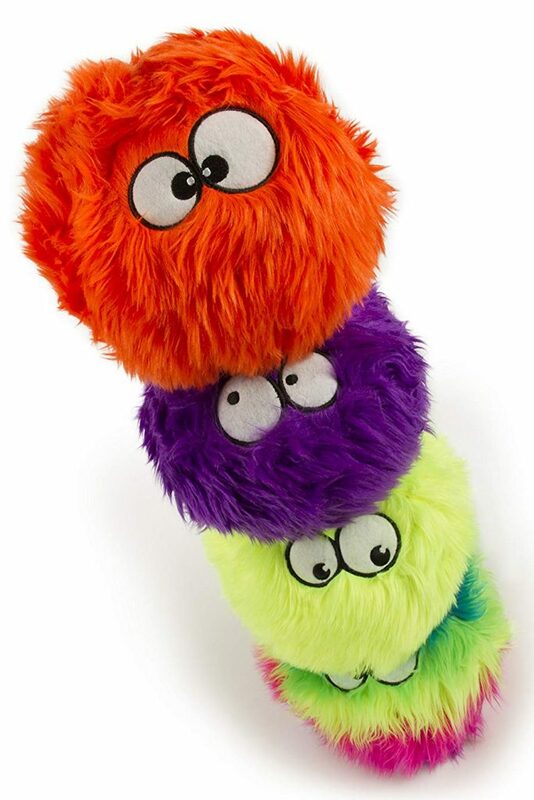 ~ The Furballz are fluffy balls that will be wet with slobber after long periods of play. ~ The fur stayed put. It didn’t come off in play. ~ I thought there might be some shedding of the fluff as Dex gnawed on the ball, but there wasn’t. ~ Perfect for indoor throwing. It’s light and fluffy. Have I mentioned the fluff? ~ Works for outdoor play as well. ~ Dexter approves. Furballz are now his favorite toys. The One Caveat: Do NOT throw in a pile of leaves or you’ll own a LeafBallz. If Dex could lol – he totally would. 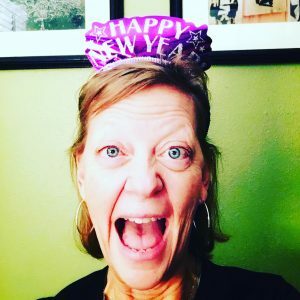 He thinks I’m HIGH-larious! Does so! You know, as far as a pupper can. When we first offered them to Dex, he was skeptical. The balls are oversized, fluffy, furry, highly squeakable toys that didn’t fit his typical toy rotation. Once he discovered he could pick it up and run off with it – he was all in. As of this writing, the Furballz are his go-to morning romp and evening play toys. The bonus for us is they look entirely silly in his mouth as he runs away from us. IMPORTANT TO NOTE: GoDog recommends spot cleaning. No running through the washer (drat!). Dexter has slobbered up the balls, but they have held up remarkably well. In the beginning, they did shed a bit of fuzz, but not so much that I thought it a danger. They are always a bit moist when we throw them back into his storage basket, but they don’t dry matted or misshapen. If they did, I think I would have tossed them. Ain’t nobody have time for that grossness. We picked ours up at Costco: Costco dog toys for the win! If they aren’t available there, you can get them online (oh, hai – I have an Amazon link for that!). How did we live before Amazon, y’all? Thank you, GoDog for the fun. Dexter may never touch his other toys again. One last thing: Don’t forget when ordering that they come in three sizes: mini, small, and large. You’d hate to accidentally order a large if your pup is a 5 pounder. Oooo, if you do that, will you share the pics?